Why Do I Need A Generator For My Home? Today we have many reasons to have an emergency power system beyond just a light or two and the refrigerator / freezer. We now have to consider any number of things such as the telephone system which is electronic, the security system, the sump pumps in many basements. Most stores use scanners at the checkout counter so they can't sell anything when the power is off, even if they have battery powered emergency lights. 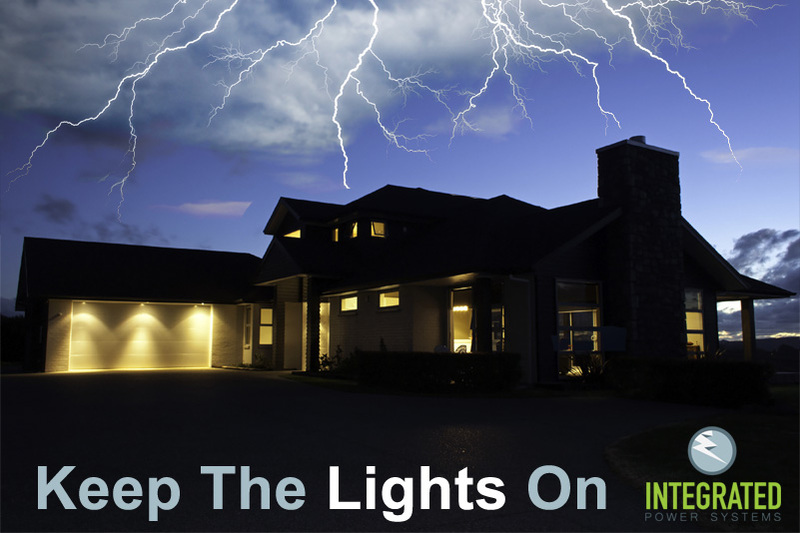 Homeowners enjoy the satisfaction of knowing that the home has power even when they are away on vacation or business. Also, nowadays, many home owners require medical devices such as oxygen generators, electric lift devices and even elevators, none of which are available when the utility power is out. 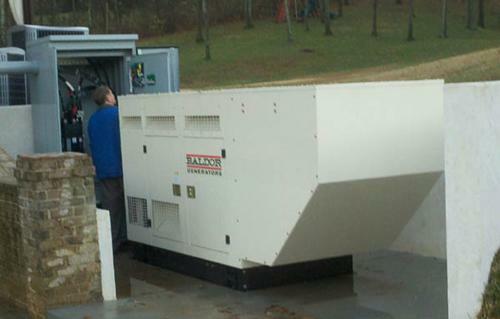 The generator or emergency power systems that we provide today are, virtually, "NO TOUCH. Then the utility power goes off the generator starts automatically and runs until the power comes back on and stays constant for a period of time. Then it returns the building to utility power. The generator continues to run for a few minutes to cool down and then shuts itself down until the next outage. 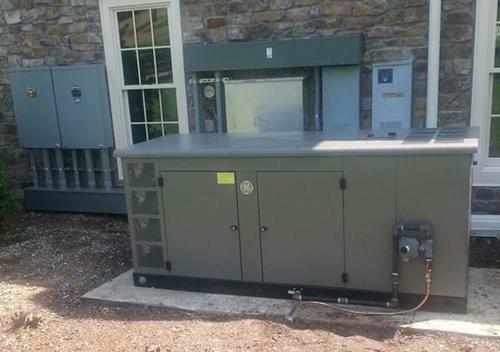 The generator also usually will start with a "power surge and run until the utility power is constant. This helps protect the appliances, computers, televisions etc. from damage from surges or spikes in the utility power. 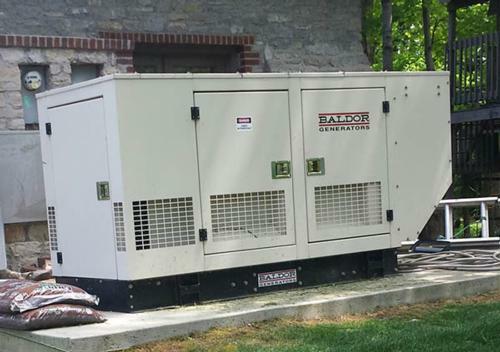 How Do I Know Which Generator I Need? For most residential and light commercial applications we use Briggs and Stratton or GE natural or LP gas powered generators. These are the quietest units in the industry and have proved to be the most reliable, trouble free units we have used in the nearly twenty years we have been in the business. They are rather small and very compact. Usually about the size of an outside air-conditioner. We distribute several different brands which permit us to custom design a system that best suits the particular application. We work diligently to design a system that will do the best job for the money because we will, very likely, service the system under our annual service agreement. We want to be sure the system does the job the customer requested. 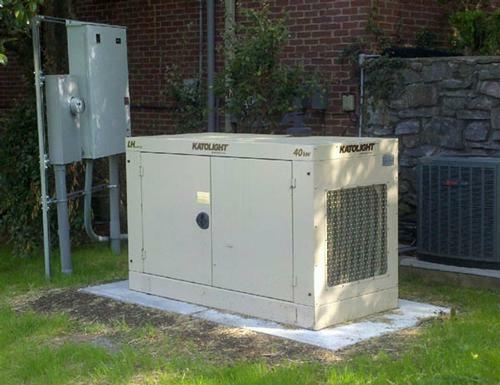 What Type Of Home Can You Install A Generator? 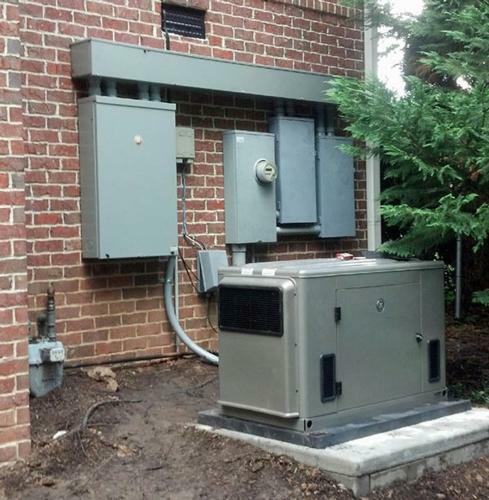 We provide standby power systems in various ways to both retrofit existing homes or commercial building as well as new construction. The ideal approach is to get involved with the project early in the construction stage weather new or remodel. This is the best approach to achieve the best system for the least cost. Briggs and Stratton has new "State of The Art technology that permits us to power a complete building with a much smaller, less costly generator than we could in the past. We will assess the need and recommend the necessary equipment on at the outset at no charge. We will then submit a formal quote and, if accepted, outline the procedure to complete the installation. 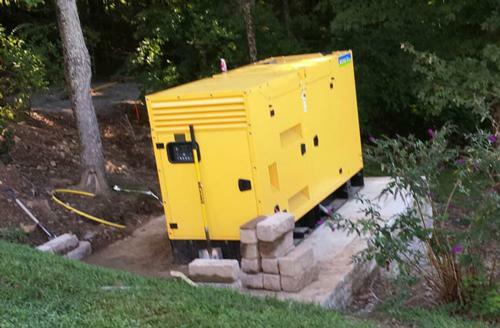 If an electrician or contractor is involved we can deliver the automatic transfer switch during the "rough-in wiring and deliver the generator when the project is further along. Also, if no contractor is involved and the owner request a complete "turnkey quote, we will engage a licensed electrical contractor that we have had satisfactory generator installation experience with and provide a complete quote. If the quote is acceptable we will proceed to schedule the installation at the customers convenience.